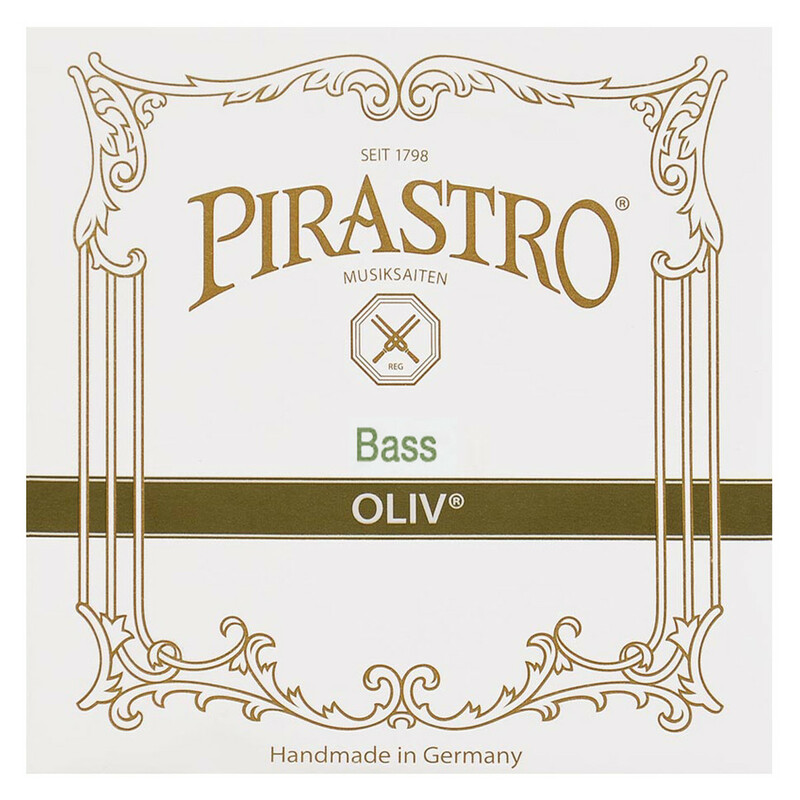 The Pirastro 241400 Oliv Double Bass E String has a diverse sound with comfortable playability. The hand wound gut core produces a dark tone with powerful projection. The chrome steel winding adds precision vital bass frequencies, as well as having a comfortable feel. The medium gauge tension has an optimum balance between versatility and comfort. This E string is designed for 3/4 size double basses and features a knot tailpiece end. 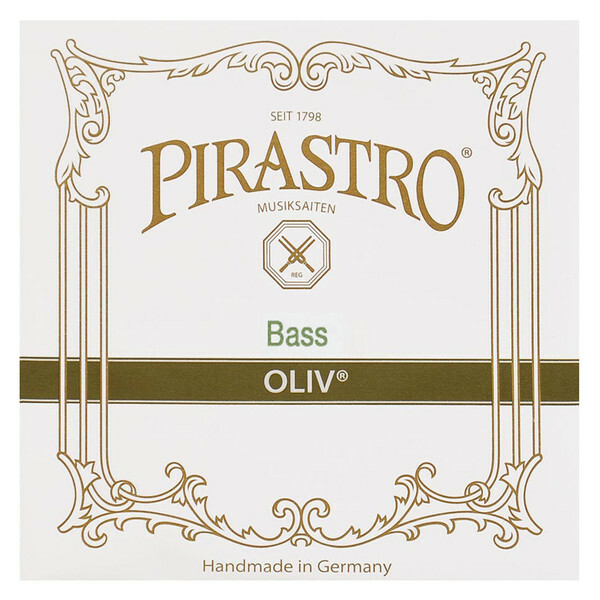 The Oliv series of strings give players a reliable sound with a rich tonal palette. The gut is manufactured, wound and polished by hand. This gives the strings a traditional sound with subtle nuances of uniqueness and a more organic response. The medium gauge tension offers users the ideal balance between versatility and comfortable playability. The chrome steel winding provides consistency to the strings’ overall texture, as well as adding a more comfortable feel. These reliable strings can perform under the pressure of a heavy bowing arm. These strings are ideal for musicians wanting an engaging tone for orchestral or solo performances.